Visiting the Emperor's residence on his birthday is a fun Japanese cultural and historical experience. Have you ever seen the Queen of England? How about President Barack Obama? President Xi Jinping? When it happens, it’s always a once in a lifetime experience when you can catch a glimpse of these world leaders. And for most people, a chance to see someone of this status is nearly impossible. 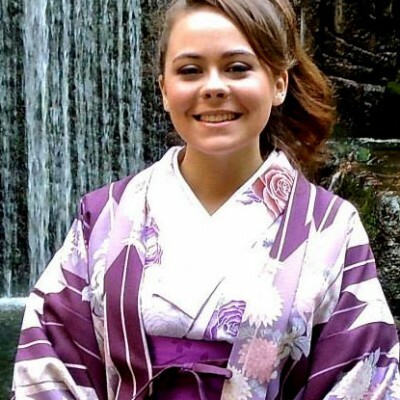 In Japan, however, you can live this out this incredible experience on 2 different occasions, and witness the Emperor and his Royal Family of Japan’s appearance at their palace. 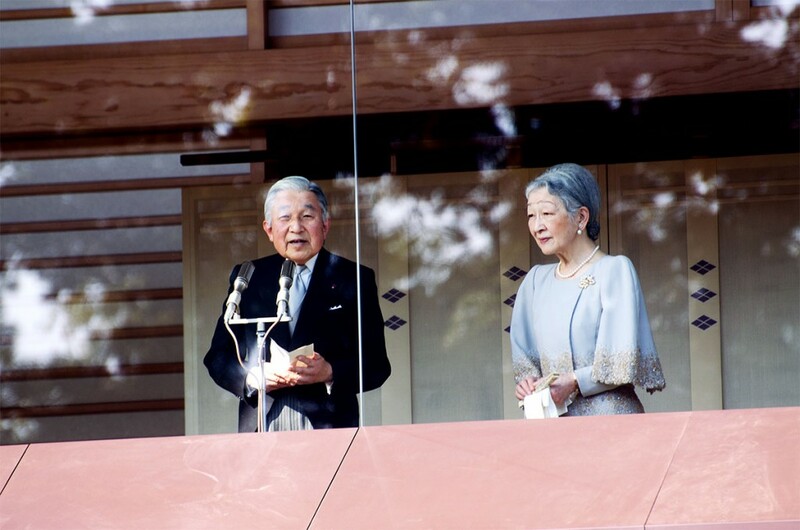 The first occasion to see Japan’s monarch is on his birthday, December 23rd. Each year, the palace opens its gates to allow in hundreds of thousands of people to get a look at the royal family. The second time you get this rare chance is each year on January 2nd, the day after New Year’s Day. 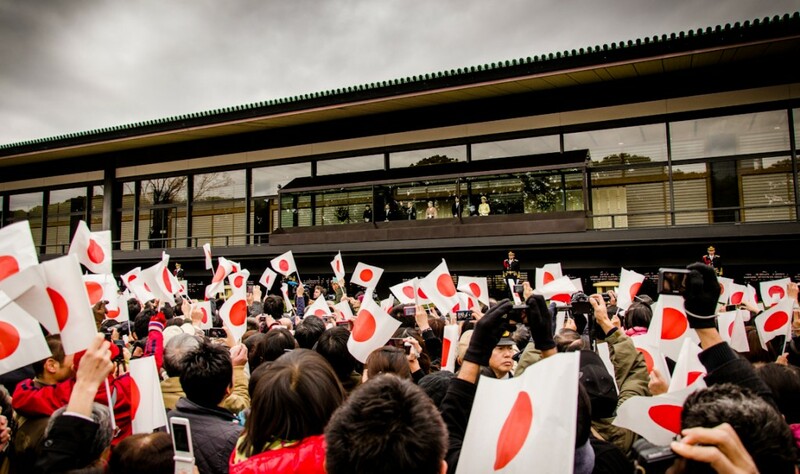 On this special occasion, you will witness the family again enter the Chouwaden Reception Hall, alongside thousands of others waving Japanese flags and chanting for the Emperor. The Imperial Palace resides on 3.41 square kilometers (1.32 sq. miles) near Tokyo station. It has had a violent history, being burned and rebuilt multiple times throughout history due to wars. Most recently, it was rebuilt in 1968, but is not the only building on the grounds. Multiple function halls and gardens are scattered throughout, making it beautiful from all angles. The current Emperor of Japan, Akihito, is known as “天皇“ (Tenno) in Japanese meaning “heavenly sovereign” and is the 125th Emperor to reign in Japan. The tradition of commemorating his birthday with this celebration started in the early 1900’s with his father, Hirohito. During both this and the January second celebration, the Emperor and Empress Michiko make scheduled appearances throughout the day alongside immediate family members. Uniquely, Empress Michiko was not in the royal family before their marriage, breaking the tradition of wedding only nobility starting with the first emperor in 660 B.C. In modern times, being allowed to see this royal family is still just as exciting and impressive as ever. From the time you leave Tokyo train station until the moment Akihito gives his noteworthy speech in front of you, you feel as if you’re getting the full Japanese cultural and historical experience. Once you make your way from the train station to the palace grounds, you simply follow the massive crowd to the first security checkpoint as you pass through the gardens. It’s a beautiful walk, which makes the wait a bit easier. During this security check, they will look through your bags and give a pat-down, so don’t be alarmed if your Japanese language level doesn’t allow you to understand the guards. Then, you will be roped off into groups, as they can only allow so many thousand people in the gates at a time. It’s recommended to get there at least 1-2 hours before the time you plan to enter, as the wait and long walk can make it difficult to enter at the time you had planned. Before you walk through the majestic gates with your group, everyone is handed a small paper flag to wave in support of His Majesty. Then, you begin the 10-15 minute journey inside the gates and around the palace grounds. Stopping for pictures seems to slow down the crowd, so make sure to take them quick or step to the side. If you hurry, you can get a good spot near the Chouwaden hall and prepare to see and hear the royal family. Once the Emperor gives his speech, the huge crowd chants and cheers with their flags for him and his family. The speech lasts only a few minutes, but the memories of seeing who has been considered a deity in Japan will last forever. Upon exiting, again following the crowd is best. The exits are well marked, and you get to see a new side of the palace grounds as you leave. Traditional Japanese trees and landscaping grace the area, giving you a great view of historical Japan in the heart of its most modern city. Seeing the Royal Family at the Imperial Palace is a once in a lifetime chance to see such an important figure both in Japan, and around the world. The Imperial Palace is a 10 minute walk from Tokyo Station. Please enter through the Main Gate (Nijubashi). I have a question, do you have to book anything in advance or is it just a walk-in type of thing? Was lucky enough to meet and speak with the Queen of England when she visited my High School. An experience I’ll never forget! 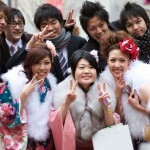 The Coming of Age festival is celebrated on the second Monday of January and marks the transition of young Japanese who have reached the age of 20 into adulthood. 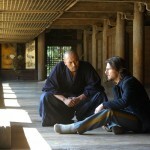 Tired of a regular onsen? 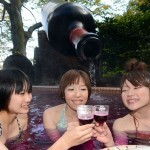 How does a coffee, tea or wine onsen sound?